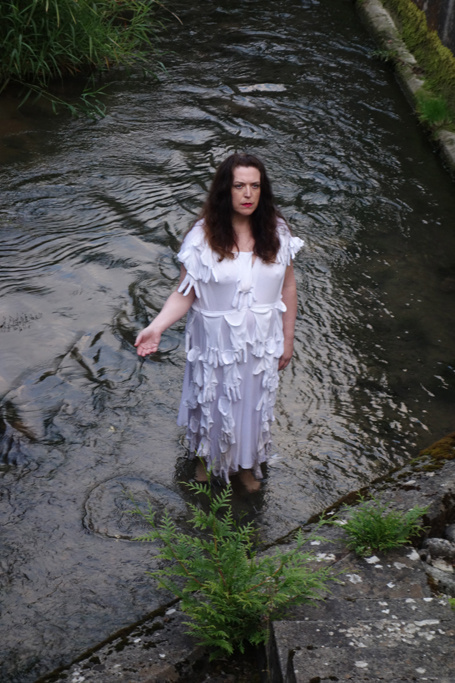 Laurel Jay Carpenter is a visual art performer, investigating longing, devotion and intimacy in her durational live works. She has exhibited extensively in New York at venues including Exit Art, The Knitting Factory, Performance Space 122, Judson Church House, NOoSphere, SOHO20 and Microscope galleries, and Brooklyn’s Borough Hall. Laurel has been a fellow and invited artist at the The Performance Studies International Conference, the MacDowell Colony, CAOS Art Center in Italy, and for three seasons at the Salem2Salem US/German Artist Exchange. Internationally, Laurel has presented work at the NMAC Foundation in southern Spain; with Wooloo Productions and the Hebbel Theatre in Berlin and further at Schloss Salem Palace and Kunsthaus Essen in Germany; at the Bergen International, Between Sky & Sea, PAB Open and the Kunstbanken Hedmark Performance Festivals in Norway; at the Art Ii Biennial in Finland; at the Festival of Ephemeral Art in Sokolowsko, Poland; at the Sofia Underground Performance Art Festival in Bulgaria; at the International Festival of Contemporary Art in Terni, Italy; and as part of the 2007 Venice Biennale. Laurel is honored to have been a member of the Independent Performance Group (2004-2007), founded and facilitated by Marina Abramović in support of the next generation of durational performers. Currently, Laurel collaborates regularly with Norwegian artist Terese Longva, and US dance artist/researcher Robert Bingham. Laurel recently resigned her tenure as a professor of art at Alfred University to pursue practice-led research as a PhD candidate at Northumbria University with supervisor Sandra Johnston; she is now based in the UK.